This picture was forwarded to me by Nick Campbell who used one of my restorations on a great article on Kaye Webbs biography. His blog is well worth visiting and is very well written. This is one of the pictures that have been placed online by the guys at Seven Stories. 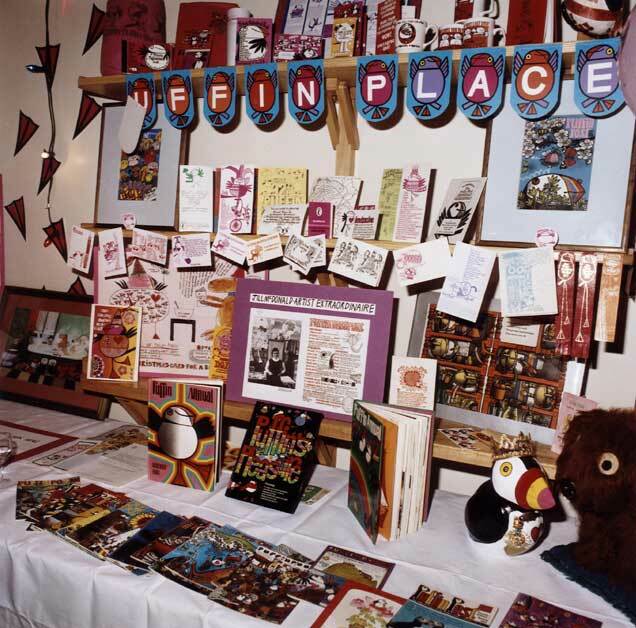 This is a picture from the Kaye Webb Archive, and it is evidently a picture of a small part of the body of work that Jill MacDonald created in her time at Puffin. I know that times are tough, but I would urge support of the work that is done at Seven Stories. The care of literature for children is so important. Who are Seven Stories? I think I have heard the name but if you did a link it didn't work. I will look around…. Will look around for Seven stories website, can't see a link.